Hooray—you got an Xbox One X for Christmas. And instead of dwelling on the sentimental value of the 2013-minted Xbox One you’ve shared so many memories with, you’re ready to toss it in a landfill and move onto your new, 4k life. Here’s the thing, though: Old consoles aren’t like your Pablo Honey Radiohead t-shirt from 7th grade. There’s better stuff to do with them than let them rot in a pit. Obviously, this is what a lot of you are here for. “How can I make a million bucks off my PS2?” Well, you can’t. You can make some money. Maybe enough for another game or two for your new Nintendo Switch. There are dozens of business that buy old consoles in varying states of disrepair, or will hook you up with someone who will. On Decluttr, a website that purchases used game consoles, games, books, phones and the like, a used Xbox One, PlayStation 4 or Wii U in good condition can earn you between $100 and $150. (Some reviews say that Decluttr has revised prices after the seller sends their consoles.) Where do your old consoles go, you ask? On eBay, Amazon and other sites along those lines, according to a 2014 Fast Company profile of the company. Decluttr upsells your old tech for a profit. (Right now, they’re selling used Xbox Ones for about $160). According to research, other sites aren’t offering as much. Do your research. It’s very, very easy to get ripped off selling an old console. You can also independently list your consoles on eBay, Amazon, Craigslist or any of these sites for maximum value. It’s just more work. If you’re open to hauling your console to a brick and mortar store, maybe don’t take it to GameStop. A look at their trade-in prices indicate that, for the most part, they’re not offering good deals and might upsell your console for as much as twice what you got for it. There are still lots of local, independent brick-and-mortar stores that will buy your consoles, fix them up and sell them. Their prices vary wildly, but in a lot of cases, it’s possible to bargain with the buyers. Before you sell your console, wipe down its exterior and blow compressed air into its insides. If you have two televisions, or even two monitors, your old console (unless it’s, like, a Nintendo GameCube) can moonlight as a DVD player. Sure, most consoles won’t accommodate Blu Ray—but you can still rewatch your first edition Cowboy Bebop box set to your heart’s content. Several generations of consoles have Netflix, Hulu or other video apps, too. If you want a good alternative to cable, an old console can be your gateway—so long as you don’t mind all the bells and whistles surrounding the apps. Kids aren’t that picky. All they really want is to be entertained. If your PS3 works, there’s a good chance little Timmy down the street would kill to finally get what all the hype around Grand Theft Auto V is about. And if it doesn’t work, you might be offering him the chance to pick up a new hobby. Do not. Throw your old console. In the trash. Old consoles are full of toxic things. As the console decomposes in a landfill or something, toxic materials leak out and make their way into the water and dirt. That can really muck up plant and animal environments, both on land and in the sea. Do the earth a favor and find a recycling service. Organizations like the Environmental Protection Agency E-Stewards assess whether those services are legit, but if you’re looking for the lowest-effort route to not be a piece of crap person. Best Buy will recycle old consoles, cables and controllers. Nintendo’s Take Back Program will receive, fix up and sell old consoles while recycling old parts sustainably. In 2016, Nintendo of America had a 99% recycle rate on the 248 tons of old products they received. There are guides for installing computers inside original Xboxes or turning your N64 into a Nintendo Switch dock. 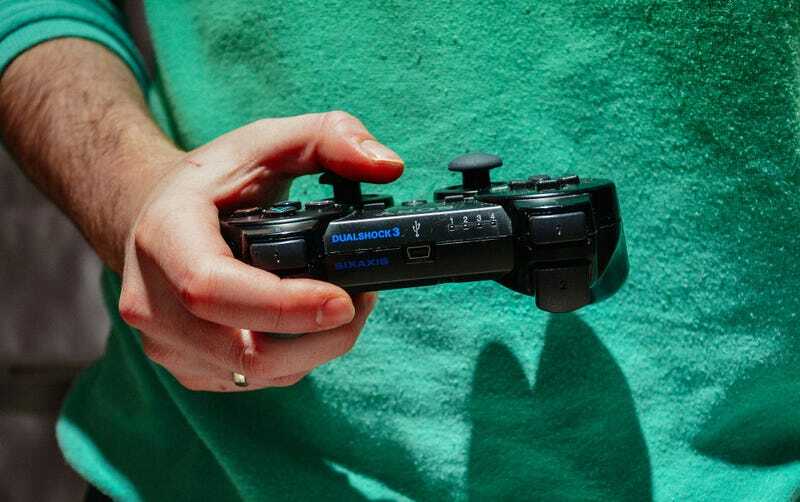 There are guides for turning controllers into night lights, repurposing NES cases into lunchboxes, turning a SNES gamepad into a USB controller or making an NES cartridge a wireless router, many of which conveniently live on our sister site Lifehacker. All of the happiness your PlayStation 3 inspired in you could be double for a kid who is bored as hell in a hospital. The thrill you got opening up a Wii U for Christmas in 2012 might pale in comparison to how damn good it feels for a kid who’s never had a console of he own and had to go to her girlfriend’s place down the street. There are lots of services that can facilitate this sort of generosity. Gamers Outreach is a charity organization that gives hospitalized children gaming consoles. Now, the program supports nearly 200,000 kids a year either by directly furnishing them with games or donating proceeds earned from selling old gaming equipment. Child’s Play, Charity Nerds and AbleGamers boast similar programs. Other organizations like Operation Supply Drop will donate consoles to military personnel, family and veterans.